To “sing”, this time, will be the tokens, the voices of the players and dealers that in the poker room of the casino of the city of flowers will give life to a brand new edition of IPO that, after 27 editions played at the casino of Campione d’Italia , last January changed location by moving to San Marino and in this edition number 29, or if you want the first of the new era, it lands on the Ligurian Riviera bringing with it over 1 million euros guaranteed also the enthusiasm of the players, and of all staff, eager to continue writing the history of Italian poker. The wait for this IPONEMILLION was great and the online registration numbers confirm this. There are over 2,400 players who, at the moment, will present themselves at the casinos of the casino for the IPO Festival with the Day1D now sold out, but still places are available in the previous flights. 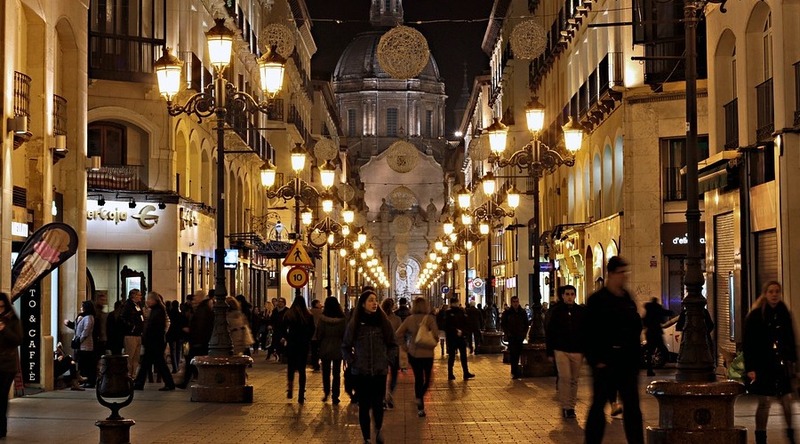 The formula will always be the same € 550 the buy-in a starting stack of 40,000 chips and 45-minute levels with late registration set at the end of the 12th level of play. The Main Event will start Tuesday 30 April with the Day1A – You can register HERE, Wednesday 1 May the Day1B – HERE, while Thursday 2 May is destined for the Day1C (almost sold out) – HERE for the registration. The start of each flight is set at 15.00. 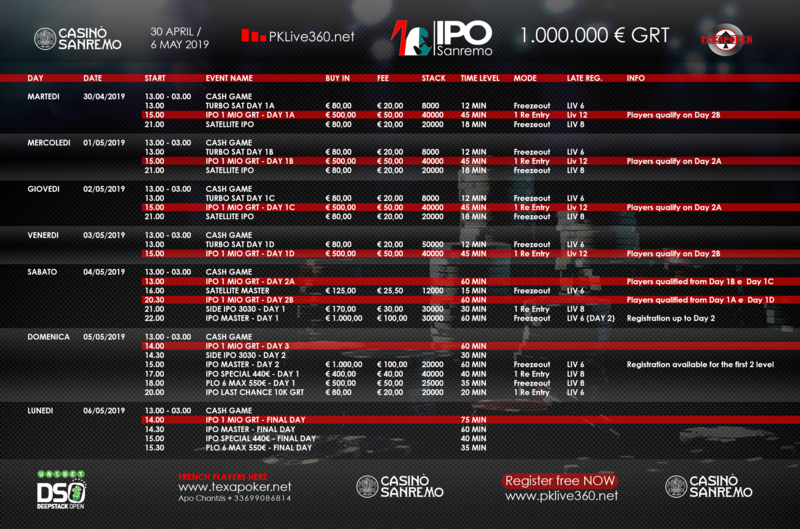 Every day at 1.00 pm, from Tuesday to Friday, the Turbo Satellites for the Main Event will also be available. The festival as per tradition will be rich in Side Events such as the now traditional and super-technical IPO Master with a € 1,100 buy-in (30,000 starting stack chips and 60 minutes level), the cash game offer will also be available for all days of the festivities from 13.00 to 3.00. It will certainly be an event that many will remember the ingredients there are, the sun, the sea and a casino ready to welcome thousands of players who will be the beating heart of IPONEMILLION, because Sanremo is Sanremo!